I've been cooking meat for years, whether that's as a roast dinner or as part of a main meal. I have always relied on my trust old meat thermometer, sticking it in and waiting. 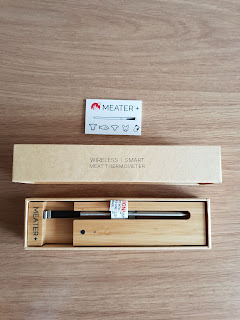 Technology has really moved on since then, and I was recently offered to try out the Meater Meat Thermometer- the world's first Wireless Smart Meat Thermometer, which means it can connect to your smart phone. The idea behind this type of thermometer is that your put it into the meat to cook with it in the oven and can report back accurate timings to the app on the phone. It's dual sensors monitor internal and ambient temperatures concurrently, and the 'Smart Guided Cook' system walks you through every step of the cooking process. I know a lot of home cooks that can be scared to cook meat, and don't have the experience to trust their instincts. I hoped this product would be perfect to help build confidence when cooking. 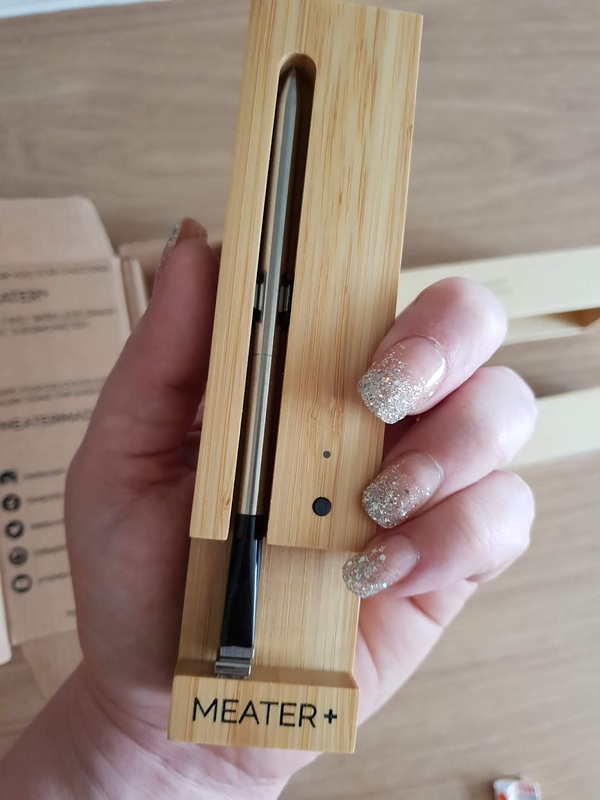 I love the presentation of it, in this lovely wooden box. I decided to try it out for myself on a roast chicken one Sunday. 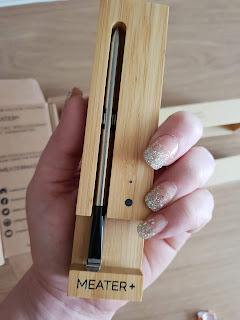 I have never used a 'cook in' thermometer, so was intrigued to see how it went. I found it pretty confusing to set up, and had to google a video on how to do it. The video was on their own Youtube channel, so was very helpful. 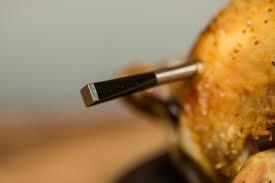 You need to put the thermometer in the thickest part of the meat, at a certain distance from the bottom. It felt a little weird to be adding a thermometer in to the oven with the meat, but once it was in the app started to analyse temperatures etc. It took about 20 minutes thought before it showed the temperature or any cooking estimations, so I wasn't sure if it took into account the 20 minutes it had been sat processing or not. I was a little worried when it told me to take the meat out, before it had reached it's temperature, and then within seconds the app was playing aggressive noises and warnings, saying the meat was about to be ruined. The idea is that you remove the meat early and let it rest to reach it's optimum temperature. If you are a nervous or inexperienced cook, then this app may not be for you! It scared me with the aggressiveness of it's warnings. Also, the cooking time was changing really regularly, so it was hard to keep on top of. 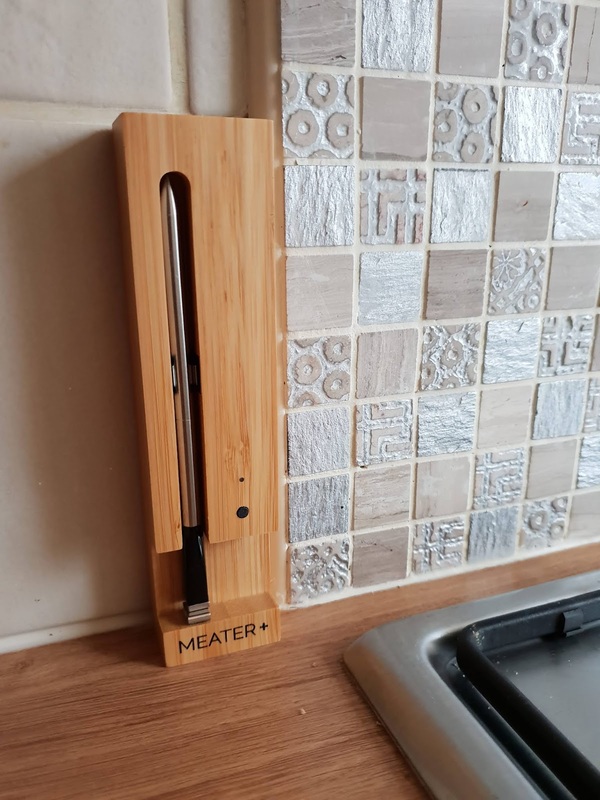 All in all I think it is a good tool, but perhaps for someone who is confidently experienced with cooking meat. I also think it is important to have a human element, because while the app may say it's cooked, it all depends on where you put the thermometer and the thickness of the meat etc. So just because it says it's cooked, always double check before serving!